With the advent of today’s online streaming services, one doesn’t have to buy a whole CD just because you liked that song. Spotify, the giant of the online music streaming service industry, offers you the option of creating your own playlists. And, a lot of us prefer the idea of being able to do that as it lets you select those exact songs that you would like to listen to, given your mood and environment. Not just that, you can even share these playlists with your friends, buddies or family and let them enjoy your personal collection of songs too. 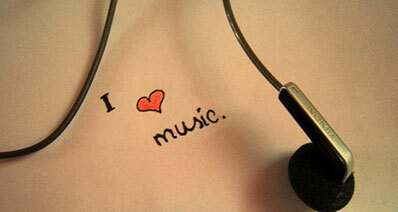 It is great fun to see them all enjoying a playlist of tracks that you carefully create. Let us take a look at the different ways to share Spotify Playlists. Now, Spotify believes in the fact that "sharing is caring" and so they have made it real easy to share your playlists using your computer. Follow these steps if you want to share your playlists. This method works the same exact way on both Windows and Mac. Launch Spotify on your computer and right click on the song that you would like to share. 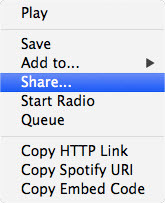 From the next drop down menu, select "Share". In the next window that opens up, either type in the Facebook name of the person you want this shared with or you can also enter the Spotify username for them. Once that’s done, you simply have to click on the button that says "Send" to share the playlist. This is pretty similar to the above method. All that you have to do is right click as you did earlier on any of the playlists or tracks that you want to share and from the drop down menu, select the option of "Copy HTTP Link" this time. Now, all that you need to do is to paste that in an email and send it to the person you want to share it with. It is all about discovering and sharing new music when it comes to Spotify. It is quite easy to share music on your Spotify profile as well. Follow the options as given below. Option 1 On Spotify Social. In order to share your music activity simply go to Spotify Preferences > Activity Sharing, you should now see the options of either sharing your activity on Spotify Social or on Facebook. 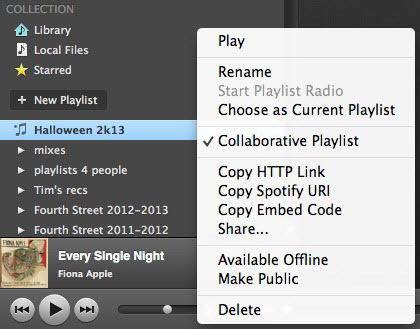 Check the option of Spotify Social to start sharing your playlists on Spotify. This will let anyone who is a follower of your Spotify account instantly see your activity. Option 2 Make your playlists public. 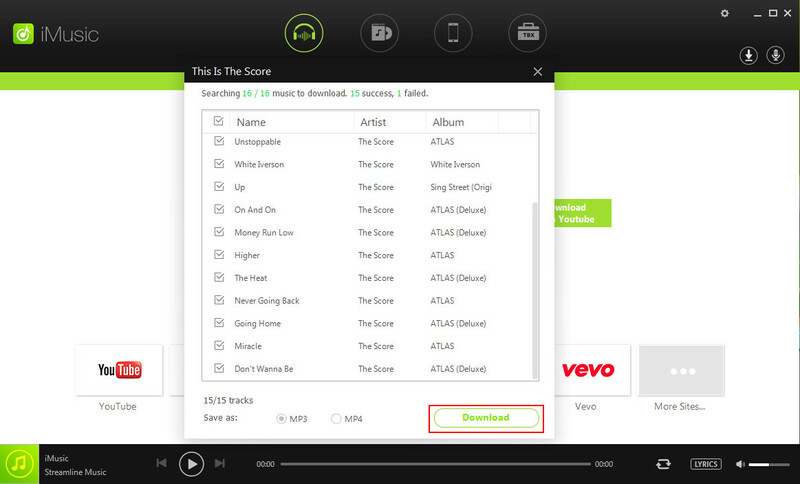 You can also make your playlists public, so that anyone using Spotify can see them. This is also quite easy to do. Simple right click on the playlist that you want to share and from the drop down menu, select the option of "Make Public". For this, your Spotify account should be connected to your Facebook account. Then, you will be able to easily share the music you are listening to on your Facebook Timeline. 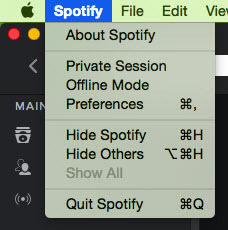 Select the option of "Spotify" from the menu bar and then select "Preferences". Then select the option of "Share activity on Facebook". Go to Edit > Preferences and then choose the option of "Share activity on Facebook". Press the icon for Settings as given on the bottom left hand side. Now, tick the check box in front of the option "Share activity on Facebook" to switch it on. This is by far one of the best options to share your playlists with any user on Spotify, as long as you can find them on your Follow page. 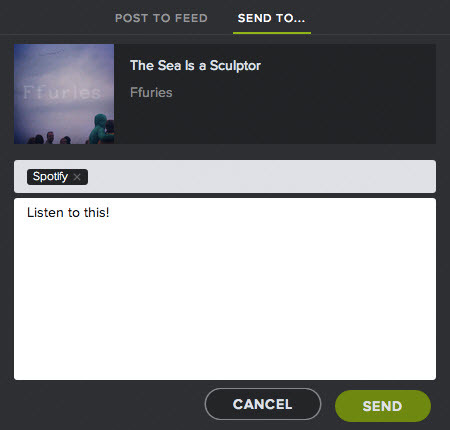 You can share the music right in to the inbox of that particular Spotify user. In order to do this, simply click on the playlist and drag it to the respective user name that you will find in your Activity feed section, given on the right hand side of the app Spotify. 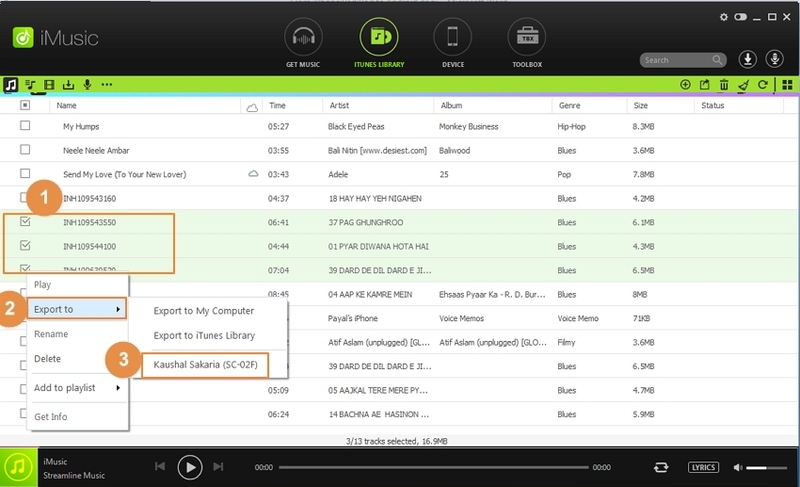 You can also share your Spotify music through your mobile devices such as iPhone, iPad and Android. We will cover the steps involved in detail so that no matter what device you own, you are able to share your favourite playlists and tracks with anyone as you like. Press the button for menu. Then go to Settings > Social and then find the section that says "Facebook". Toggle the switch from "OFF" to "ON". Press the button for "Settings". Then go to Social and find the section "Facebook". Simply switch on the option "Show Activity" as you had done with the iPhone. Tap on the button for menu. And then, click on Settings. From the section "Social", just ensure that the option of "Show on Facebook" is switched on.